I've held off for two reasons. First, I had a feeling 50% of the household wouldn't dig it. Second, despite being the season for asparagus, I have to say what I've seen in the stores looks pretty awful. Maybe it's not yet quite the season? 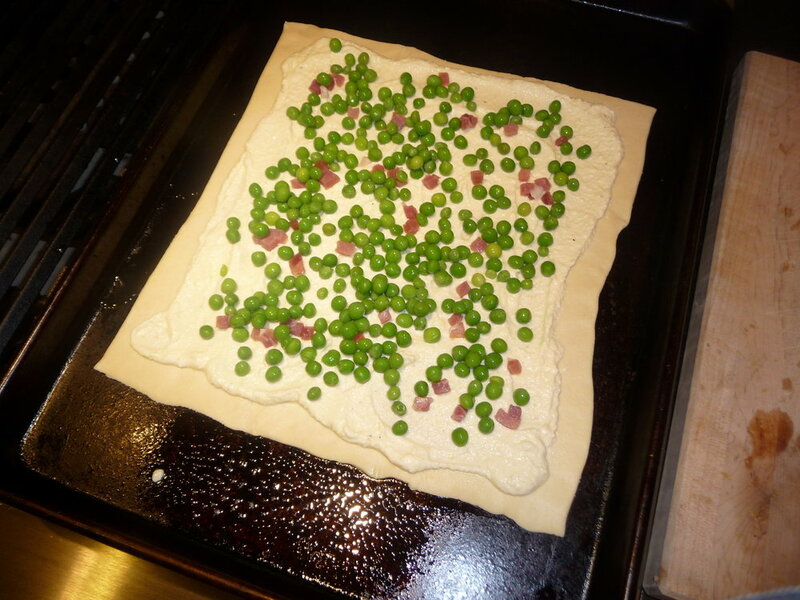 Roll out puff pastry in a tart pan, or lay free-form on a baking sheet. 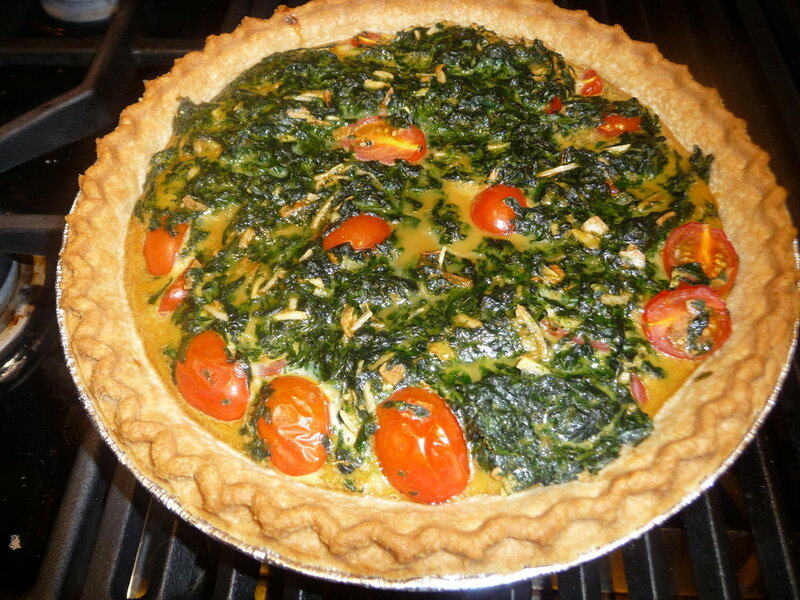 You can use whole, or cut into individual "tartlets." 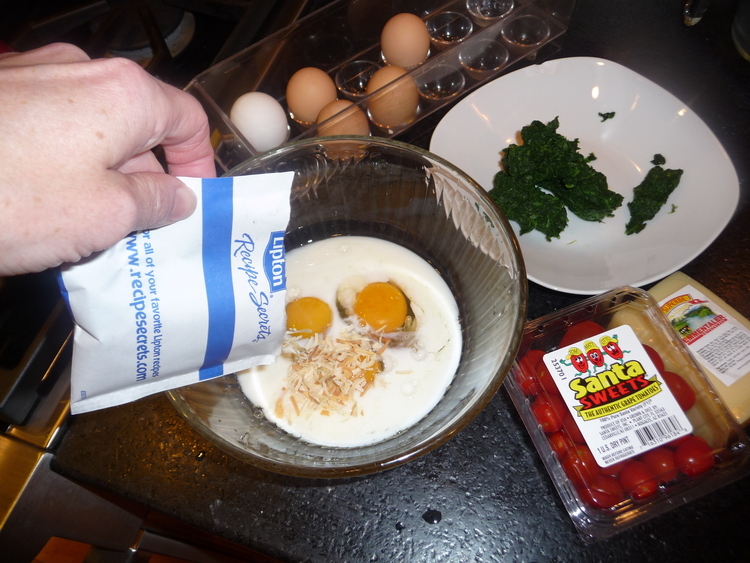 Mix ricotta cheese, egg, zest, salt and pepper. 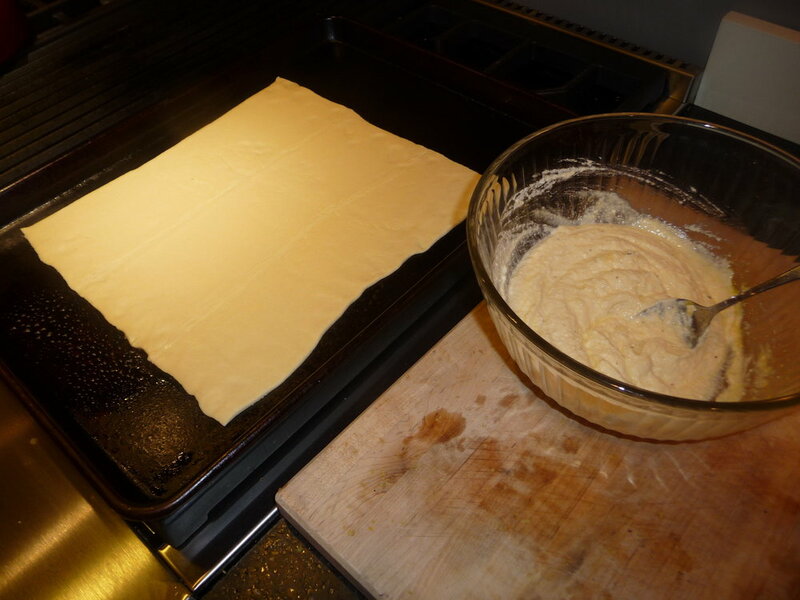 Spread in the center of puff pastry. 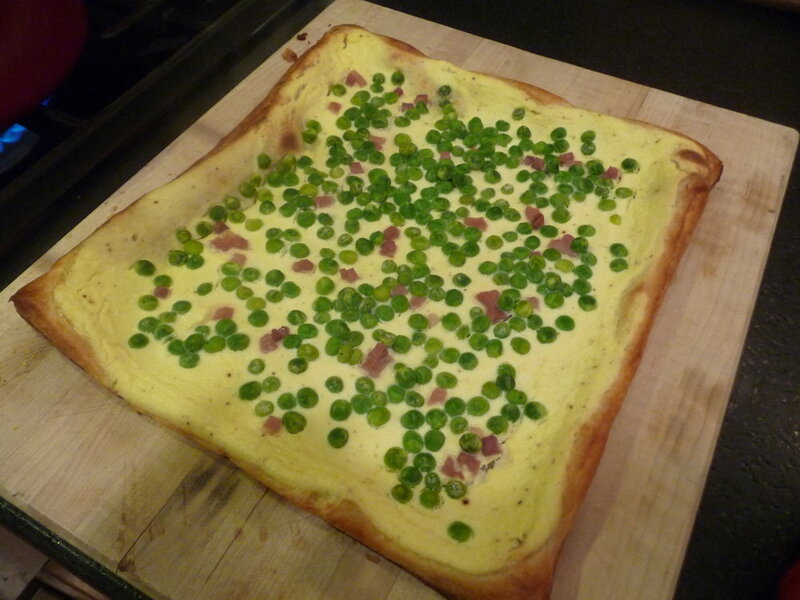 Sprinkle with ham and peas (if you are making an asparagus tart, use pre-blanched spears). Let cool 5 minutes then slice with a pizza cutter. This wasn't as pretty as Stacey's, but it was a total hit. We killed it to the crumbs. "We" meaning 75% of us: Redman took no notice of it but Panda had three pieces. 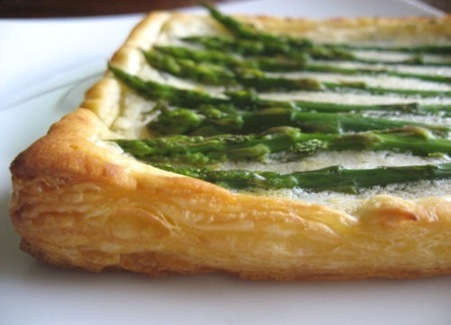 Definitely making this for a party, and with the asparagus. Get used to the name Stacey. She is Stacey of StaceySnacksOnline. Her amazing food blog upped my cooking game like nothing else. I had no idea you could do so much with cauliflower, but suddenly I was buying a head every other week and roasting it with red onions and grapes (click it, try it, it's insane). 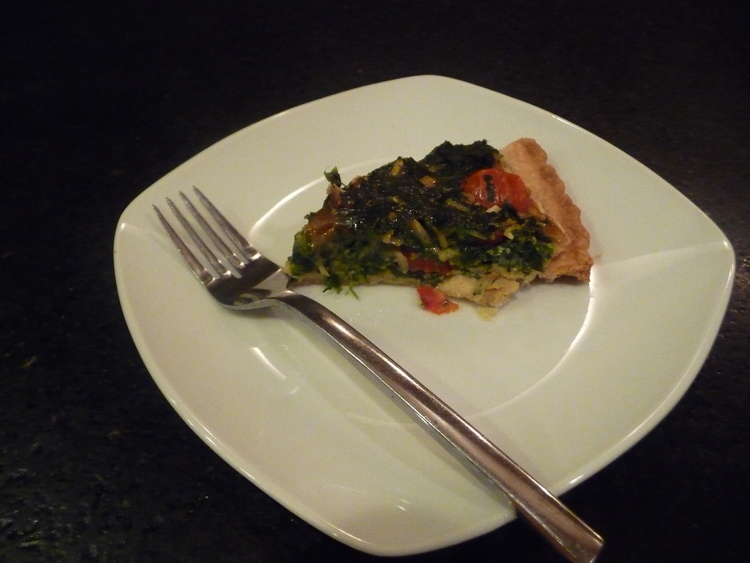 Everything I have made from her blog has been easy and delicious. No strikeouts. So click here for her recipe for roasted shrimp and broccoli. Roasted broccoli, have you tried it? It's killer. Stacey said she made it once for her husband and thereafter he wanted it no other way. I made it once for JP and now we're both addicted. I served the shrimp and broccoli over coconut rice and it was fantastic. Drizzle salmon steaks or fillets with olive oil, brown sugar and dill. When oven reaches 425, take out tray, put salmon on it, and put back in the oven for 5 minutes.